Are there any plans to release a live CD and/or DVD of this tour? 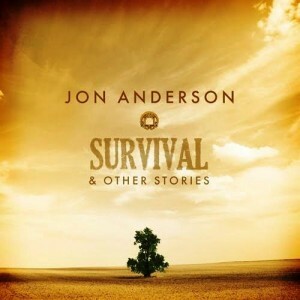 John Anderson: Yes, we have a live CD. [It’s] just part one of the show; the second part will be from this current USA tour. 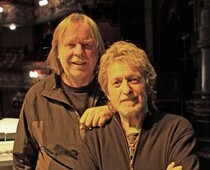 I’ve heard about an Anderson/Wakeman/Rabin collaboration album. Any news or comment on that? Why exactly do you want to do this project with each other? RW: [I’m] waiting to hear from Trevor at the moment. To be fair, I certainly haven’t chased him, as I’ve been so busy this year (as indeed Jon has and certainly Trevor as well). I really want this to happen; I believe it could be amazing in so many ways. I will certainly play my part in trying to bring this to fruition. JA: We’ve talked about creating a project; it’s just finding the right time to work together. How did The Living Tree project come to be? What made you guys want to work together on a project (besides the obvious Yes connection). JA: We had been touring in 2007 together and had so much fun, so last summer we talked about touring the UK in October of last year. [We] started writing songs to perform on stage together, [and] we eventually wrote enough songs for an album. RW: Jon and I have talked about doing an album together for years (ever since we wrote “The Meeting” together, to be exact). We never, ever wanted to force the issue, though, as that is a mistake. True composition is inspirational and you can’t just bring that on. Too many albums these days have good sounds and good playing, but [they] lack in substance and compositional material. We didn’t want that to happen, so we were very, very picky about the music we used. A lot [of it] never made it to the recording studio, that’s for sure. We really made it work for me, and I think Jon as well, is the excitement we both had waiting to receive each other’s input as the music went back and forth. Because of the time change, it was not unusual for me to get up in the early hours of the morning to see what Jon had sent through! How was the material written? How do the songs on The Living Tree differ from your solo work stylistically? 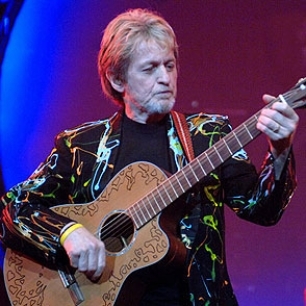 RW: I would go into my studio with my engineer, Erik Jordan, and literally think, “Jon Anderson.” I could see him in the studio and I could hear his voice constantly in my head, and from that, music evolved that I felt pretty confident that Jon would want to add melody, ideas, lyrics, and meaning to. The majority of the time, that’s exactly what the outcome was. We would then send the files to Jon and he would work on them and send them back. Then we’d do more work on our end and send them back again. This ping pong programme continued until each track had reached fulfillment. When I write for me, I think, “me.” I believe true composition can only be achieved if the mindset it correct. Therefore, it is important to think constantly about the goal you are trying to achieve. JA: Rick would send me MP3s of music and I would sing melodies and lyrics and send them back for his thoughts. He sent this wonderful music, so it came very easy to sing ideas. It’s as though we were in the same studio (well, we are on the same planet). I think using the internet is so great. It was such fun to receive the music. Will you be playing The Living Tree in its entirety? What about other songs? Can you discuss specific Yes or solo material that will also be included? JA: We will perform most of the songs from The Living Tree plus Yes classics, including “Awaken.” It’s great to do the songs stripped down, [and] we might play the Paul Simon song “America.” We have a lot of fun on stage; Rick likes his jokes, so it’s a very relaxed evening [full] of fun and good music. RW: No, but quite a lot of it! It’s a mixture of music that Jon and I have been involved with over the years. 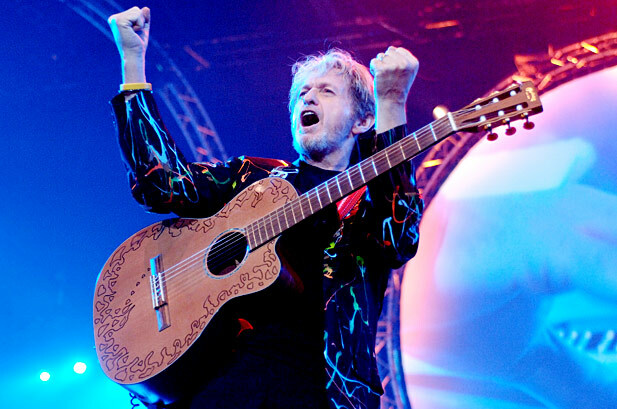 Of course, there’s some acoustic Yes stuff with very different arrangements (obviously). But they work very well and are very enjoyable to play. In terms of that other material, how have the songs been reworked for this new tour? RW: There are no rules on how to do this. It’s the pair of us in a room, working together and playing together and running through all the possibilities that could work. [We] then choose what we think is best for the song and the concert. JA: For some reason, both the old and the new songs take on their own life, as though we wrote them all last month. The press release says, “The duo promise a magical evening of music and humor for all who attend!” What kind of humor can attendees expect? JA: We talk about how we wrote the songs, and sometimes Rick gets very “blue.” Rick does stand-up in the UK, so you never know what he’s gonna come out with. RW: Stuff that makes them laugh, hopefully!!! We don’t rehearse what is said between pieces. I tend to interrupt Jon a lot and away we go. Jon has a wonderful sense of humour and the most infections laugh I think I’ve ever heard. As a duo, you’re being billed as the “’Heart and Soul’ of Prog giants YES.” How do you respond to this assessment? Does it imply that your contributions were more important than the other members’? JA: No, not really. I think they say that to show how important we were to the band’s creative process. 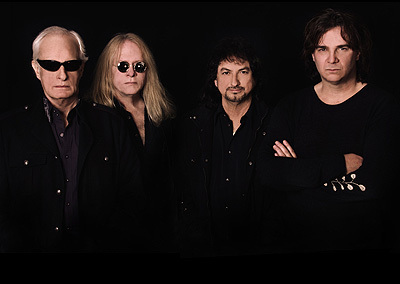 What do the other members of Yes think about your collaboration? Has there been any response from anyone? JA:I don’t know what they think; we are not in touch anymore. That’s life. Well thanks for taking the time to speak with me, guys. I’m a big fan. JA: Happy to do it.